Cheonho’s most significant attraction is also, rather deceptively, its most unassuming. Just west of the station is a long, grassy, J-shaped mound that at first blush looks to be a covered landfill or a barren public park. In actuality, however, this anonymous bump is one of the oldest pieces of architecture in the country, believed to date to the third century. Pungnaptoseong (풍납토성), as the mound is known, was an earthen fortification that formed part of Wiryeseong, capital of the Baekje Dynasty, one of the Korean peninsula’s earliest kingdoms. Discovered accidentally during the construction of nearby apartments, excavations and research have been ongoing in recent years. 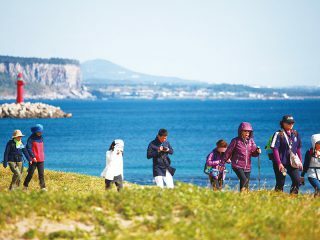 To get a glimpse at what’s been done, head to the nearby Pungnaptoseong Gyeongdang Jigu (풍납토성 경당지구), a former excavation site that’s been turned into a small public park. Past excavation pits are marked with plaques displaying photos of the digs. In contrast with its inconspicuous history, modern Cheonho is abuzz with things to do. 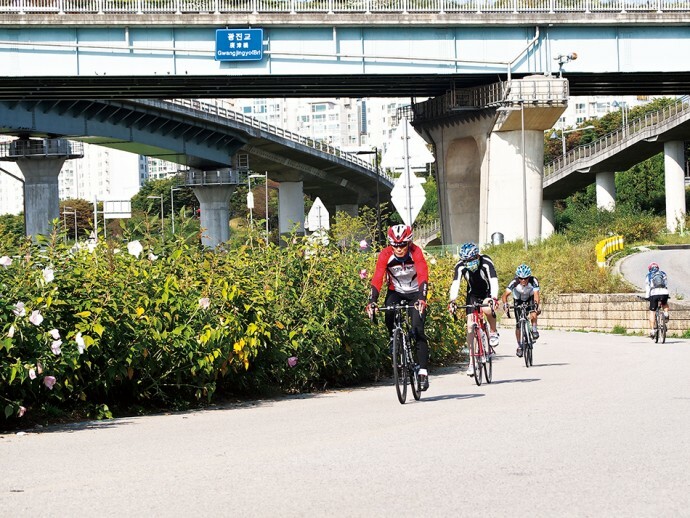 A short walk northwest is the Han River Park (한강공원), possibly the best place in Seoul for bike enthusiasts thanks to the presence of the Gwangnaru Bicycle Park (광나루자전거공원). In addition to the standard bike paths, there’s also a rail bike course, a dirt bike track where kids on BMXs pedal over ramps and around banked U-turns, and the Novelty Bike Experience Zone, where you can try out tandem bikes that move sideways and bikes with square wheels. 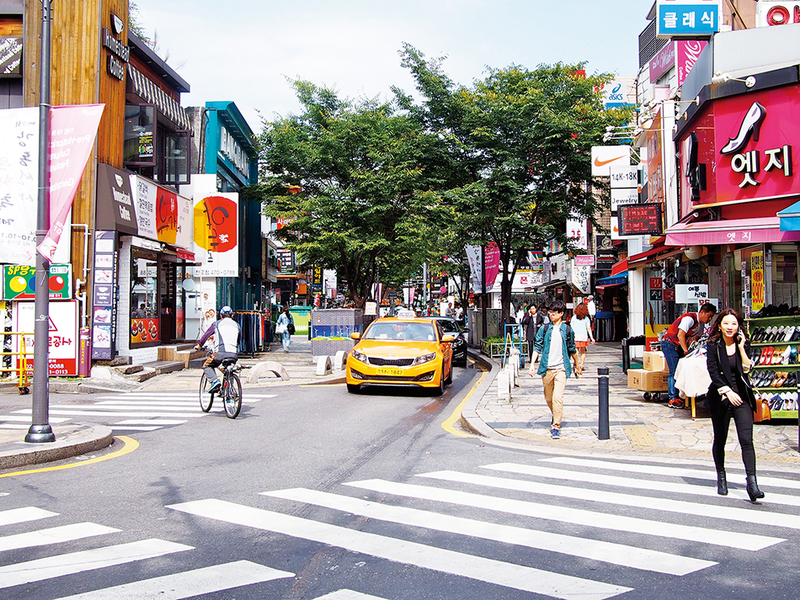 In the opposite direction is Cheonho’s Rodeo Drive (로데오거리). Unlike most other so-called Rodeo Drives in Seoul, this one is less focused on shopping and clothing outlets than it is on dining and nightlife. In addition to a mall and a number of clothing boutiques, there are numerous restaurants, bars, ramen joints and upper-story noraebangs. 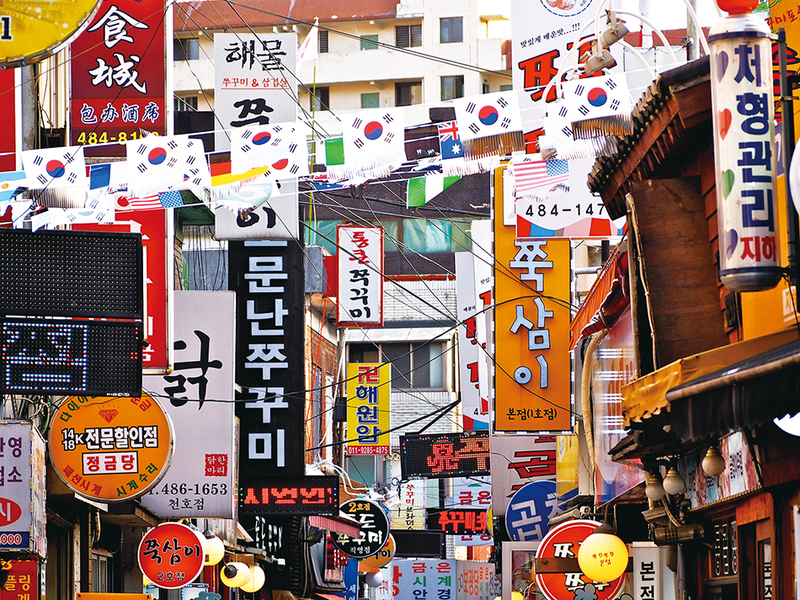 For the area’s signature dining experience, though, pop directly across Cheonho-daero to the haphazardly named Seongnae-dong Webfoot Octopus Street (성내동 쭈꾸미골목), an alley filled with restaurants serving jjukkumi, tiny octopi stir-fried in a sauce that ranges from spicy to burning. Most places have lines out the door. The name Gangfull (강풀) probably doesn’t mean much to most non-Koreans, but ask a local and they’ll likely have warm feelings for this famous cartoonist. 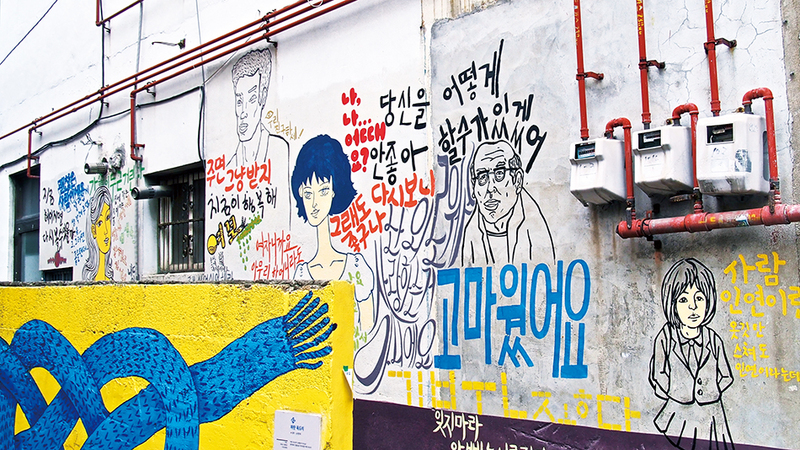 Not far from the station is the Seongan Village Gangfull Cartoon Street (성안마을 강풀만화거리), which is actually several linked streets decorated with murals of characters from Gangfull’s webtoons: kids sneaking up on each other and neighbors waving from upstairs windows. With their honest, open faces Gangfull’s characters seem genuinely happy that you’re there.